Order in the next 3 hours, 5 minutes an 18 seconds for same day shipping. These practical and prestigious full colour plastic badges are easy to read, durable and can be created using company logos, business details or custom artwork. A fully customisable badge with full colour print. It comes with a domed plastic finish and can be created using company logos, business details or custom artwork. 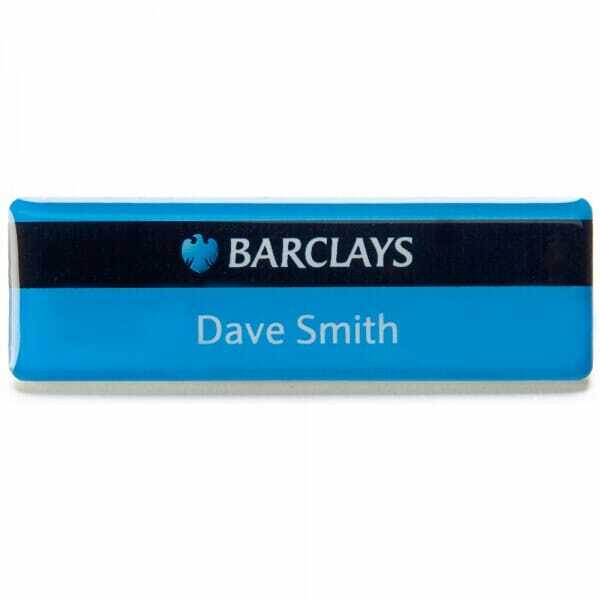 Customer evaluation for "Personalised Domed Name Badge with full colour print - 75 x 40 mm"